The truth is, earth has been getting warmer. 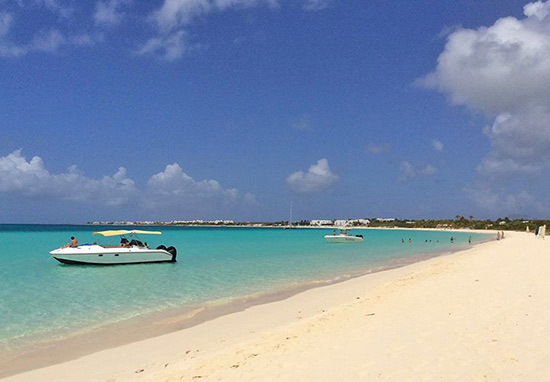 In fact, Anguilla had its all-time high temperature of 33.8°C (92.8°F) on Sept. 12, 2015. 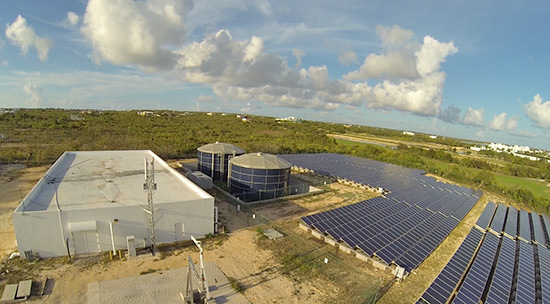 On a desert island, with virtually zero natural potable water and high energy costs, a sustainable approach is long over-due for Anguilla. The good news? CuisinArt Golf Resort & Spa calls our shores home and is making strides in taking Anguilla into the "green," surpassing any other Caribbean resort's efforts. 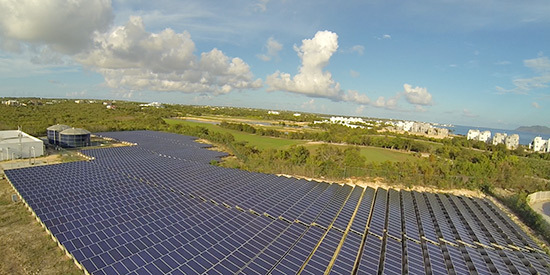 Set inland of CuisinArt Golf Resort & Spa's "The Reef" (opening in Nov. 2016), sits the resort's impressive 1MW PV solar energy plant. 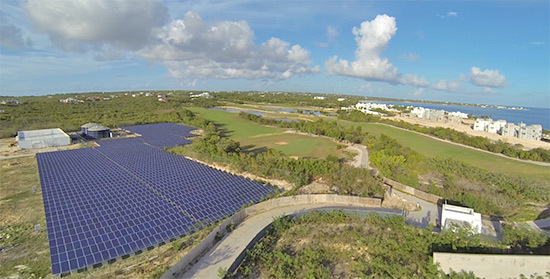 "Our island's business is sun," CuisinArt's Director of Engineering, Rory Purcell, stated, "and compared to successful PV schemes in European countries, Canada and America, who receive far less sunlight than Anguilla (we average about 6 hours/day year-round), and whose electrical costs are far less expensive than our own, it's crazy that more islands in the Caribbean aren't doing this." Made up of 3300 solar panels that sit on 4 acres of land, the entire system powers 15% of the resort, a number that has been increasing and is expected to grow as the resort plans to expand their system to 5MW. Right next to the resort's impressive solar panels lies five reverse osmosis machines, which have the capacity to produce 1.3 million gallons of water/day. The resort currently produces 400,000 gallons/day from their solar energy plant. 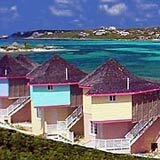 They are the suppliers of their own resort, their 300 acre Greg Norman golf course, Paradise Cove and Anguilla's water businesses. What's even more impressive? CuisinArt has also been providing water to all of Anguilla's West End (where the plant is located) via the standard government pipe system. CuisinArt is leading the way in meeting the needs of both residents and visitors, all with green technology. Speaking of water, it has been a solution when it comes to the storage of solar energy. Storing energy is where solar energy poses challenges. As it stands now, storing solar powered energy in batteries is an expensive, short-term and environmentally damaging solution. And so, Rory has been thinking outside of the box. He and his team have been converting their solar energy into water. Instead of storing the energy in batteries as electricity they store the desalinated water in the 300 million gallon manmade lakes on the resort's golf course. The course is then irrigatated at night with fresh water drawn from the lakes. The next phase? Charging "Thermal Storage Tanks" to cool water through the night for the resort's air conditioning. In total, CuisinArt has managed to off-set carbon emissions by over 1 million lbs. That number will grow as their plant expands to power virtually the entire resort (from appliances in the kitchens at their five-star restaurants to the lighting and flat-screens in their luxurious suites). A unique Caribbean island, a desert island, whose topography lends itself to endlessly sunny weather, I agree with Rory. 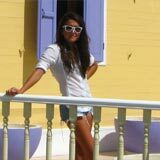 It's hard to believe similar islands aren't investing in green technology and acting to reduce their carbon footprint. On islands with limited resources, and as existing hotels and resorts expand and new construction begins, cutting emissions, going "off the grid" and being completely sustainable is the way of the future. 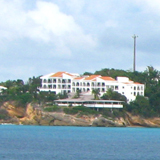 A huge thank you and congratulations to CuisinArt on better preserving our piece of paradise, Anguilla!